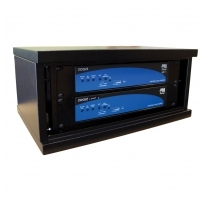 C-TEC's new DLR range of dual induction loop amplifier kits. Designed to simplify the installation of a 'phased array' induction loop systems, each pre-wired DLR kit features two PDA Pro-Range amplifiers, an APPS Phase Shifter and two outreach plates providing one XLR mic and one dual phono line input. Ideal for use in high-profile professional AFILS applications where minimal overspill and consistent loop coverage (i.e. no dead spots) is essential. 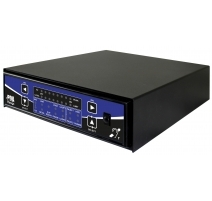 Phased-Array Hearing Loop Amplifiers There are 3 products.